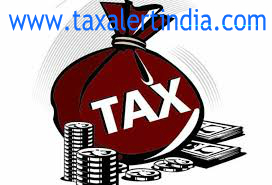 • The tax demand with respect to AE had been recovered from the assessee by adjusting the refund due to the assessee against the tax demand of the AE by the revenue . • The TPO noted that though the sum was recovered by revenue from the refund due to the assessee, it is akin to loan given by the assessee to AE, which was subsequently refunded with interest to AE by the revenue. • Therefore, the TPO held that interest at the rate of 12.5 per cent shall be charged which is the return an independent entity would expect on money given as loan. Therefore TPO proposed an adjustment. • If two parties are acting in concert then it can be said that they have entered into a 'transaction'. The parties have common business interest and in the above transaction, there is an element of cooperation, which is evident from assessee not objecting to adjustment of its refund. In view of this it satisfies all the conditions of definition of a 'transaction' as provided under section 92F (v). Further, the assessee has lent money to the associated enterprises by liquidating its asset of 'refund due' for repayment of the tax dues of associated enterprise. In view of this, money has been lent by the assessee to the associated enterprises hence it satisfies the basic condition laid down under section 92B (1). Even otherwise it is also included in clause (i)(c) of the explanation to section 92B as it is a transaction akin to 'capital financing' in the form of 'advance' to the associated enterprise by the assessee. Therefore, the above transaction is an 'international transaction' within the meaning of section 92B. • Thus, the unilateral act of AO in adjusting assessee's refund with demand of AE is an international transaction, however, interest on refund given by the revenue to the AE is at statutory interest rates, which cannot be used for benchmarking of loan between two business concerns. In view of this matter was to be remanded back to TPO to determine arm's length price of interest in one of the prescribed method and in accordance with the provisions of section 92C.